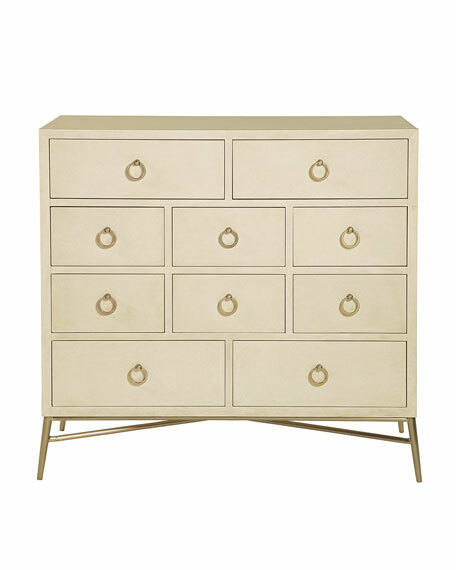 Chest made of maple veneers with an alabaster finish. Top drawers have drop fronts with cut-outs in drawer backs and corresponding holes with grommets in back panel for wire management. 54.625"W x 19"D x 43.875"T.